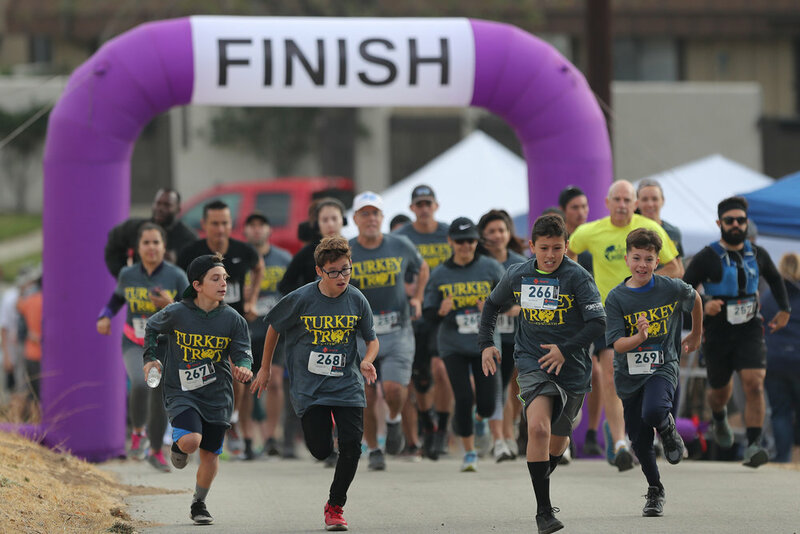 This weekend, I got a last minute booking to shoot marketing imagery for the Anytime Fitness Turkey Trot, which is an annual Thanksgiving-themed community event that features a foot race up and down a paved hill. For this event, I was asked to shoot engaging imagery of the community having fun at the event, so that Anytime Fitness could use the images to promote their next event and attract more sponsors. I don't shoot sports or fitness as often as I'd like to, so shooting this event was pretty fun! I'd like to shoot for fitness clients more often, so if you have a direct relationship with any companies in the fitness or sports industry, please introduce! Since I’m good friends with the owner of Anytime Fitness, I went crazy and shot over 1000 images in a two hour period, from 9am to 11am.